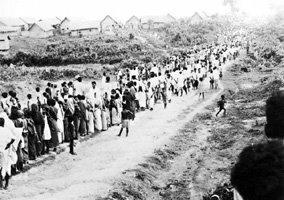 THE THEME OF DISPLACED PEOPLE IN LITERATURE, FILMS, PEOPLE’S MOVEMENTS. EVERYWHERE, BUT IN POLITICIANS’ MYOPIC RADII. Over the past few weeks, a dam suddenly took centrestage in Indian television news channels. The issue wasn’t new though. The dam, Sardar Sarovar, was first envisaged in the reign of independent India’s first prime minister, Jawaharlal Nehru. Since then, there has been steady progress on its construction. Not without a cost though. Apart from the gigantic financial figures involved, the dam has in the past, and continues to, uproot people from their lands. 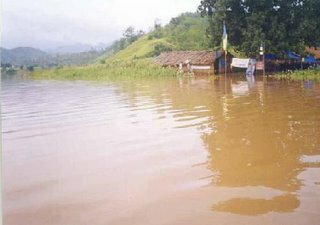 And that’s what took the spotlight in the TV channels–the ongoing protest of these displaced people, most of them illiterate farmers and adivasis. 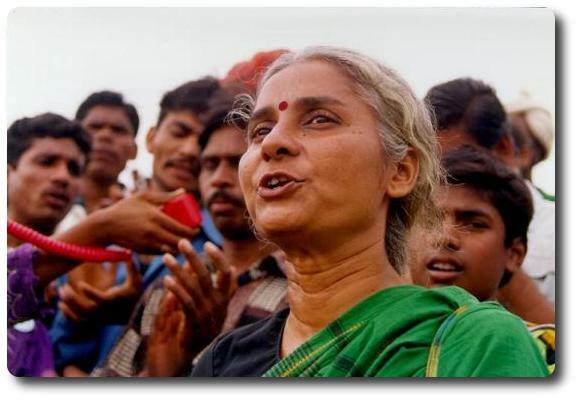 They have been leading a peaceful people’s movement, called the Narmada Bachao Andolan (NBA) or Save the Narmada Movement, led by the indomitable Medha Patkar for nearly two decades, demanding proper rehabilitation. Yet, like so often happens with poor and dispossessed people, their needs have been marginalized by successive governments. And then, a famous Hindi film actor, along with some of his colleagues jumped into the scene by showing solidarity with these displaced people. Suddenly, the movement became a big, flashy news for the electronic media. This is exactly what the actor, Amir Khan had sought to do–bring the issue back to public focus and elicit support for the displaced people in the process. Amir isn’t the first celebrity to show support for the NBA though. Booker Prize winner, Arundhati Roy, has been voicing her concerns for the affected people for quite a few years now. As have been other actors, writers, and scholars. As I watched the news reports of these high-profile creative personalities joining hands with a people’s movement, a question came to me. Why is it that politicians fail to see what artists and those involved in education do? The simple fact that development which comes at the cost of depriving people of a dignified existence is self-defeating to say the least? I haven’t found the answer. This led me to think about how this very theme–displaced people–has resulted in some of the finest literature and filmmaking. I recalled the stories Sadat Hasan Manto wrote on the partition of India, an event that led to the creation of Pakistan and remains one of the bloodiest carnages in human history. 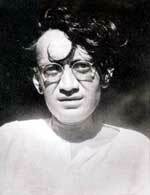 Manto’s stories are spine-chilling in their matter-of-fact, unembellished style. 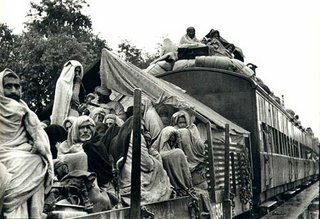 The partition, carried out on the basis of religion (a majority-Hindu state of India vs an Islamic Pakistan), was of course masterminded by politicians, in which innocent civilians paid the price with their lives. Doesn’t that sound all too familiar? Manto wrote several short stories on the theme of partition, most of them straightforward depictions of what was happening then. One story particularly jolted me. It talks of how an armed man goes on a killing spree while walking on the streets. He fires gun shots at anyone passing by, for no apparent reason other than the sheer sadistic joy of it. Just as his gun fires its last bullet, killing a woman, he spots a little boy walking towards him. The man gets all excited and aims his pistol at the child. Seeing this, his companion reminds him the pistol has no bullets left. To which the gun-lover says, how would the child know that? Such is his frenzy of spreading terror among ordinary people. Although I never witnessed the horrors of partition, I experienced it through the stories recounted by my grandparents. Born in an undivided India, they were among the lot who had to give up the land that was once their entire world, forever. I remember how my grandma never grew tired of telling us stories of her childhood, the landscape etched in photographic detail in her mind’s eye. Even as a child I could see how she pined for the Bengal that became a part of Pakistan, and then branched out into a new country–Bangladesh. How vividly she painted the rivers and tributaries, the amazing fruits and vegetables she enjoyed as a little girl and could never find in her new environment, the intrinsic bond between Hindus and Muslims in her village…All that was hers once, yet could never be again. As I grew up, I found a resonance of my grandma’s pain of separation from her land in the films of a remarkable filmmaker. 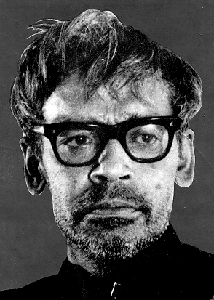 His name is Ritwik Ghatak. A victim of partition himself, Ghatak never got over the trauma of displacement. It appears as a recurrent theme in most of his films. I remember, when I first watched Komal Gandhar (E-Flat), I realized the extent of emotional scars permanent displacement can inflict in people. Ghatak continued to talk about this anguish in films like Subarnarekha, Nagarik (The Citizen), and Meghe Dhaka Tara (The Cloud-capped Star). A lot of his critics felt Ghatak was in denial–refusing to accept the reality he was faced with. Perhaps he was. But perhaps those critics never knew what getting uprooted from home meant. I say this because I know Grandma never got over the fact that she could not claim the land she was born in as her own, ever again. So my question remains: why is it that politicians fail to see what writers, filmmakers, artists, and musicians do? If you have an answer, let me know. What an incredible post this is. You are literally living in a different world than I am. I will be glad to link your blog, and to visit a fellow writer on the path. Thanks for your kind comments! Yes it is. I had a girlfriend from India that is married like myself, and we constantly marvelled at the sameness of our relationships, even though we were so different from one another.And you are welcome. A stunning insight into a world I know barely anything about. Thank you. As I read, I found myself reminded of conversations I used to have with my most recent girlfriend, who is Half-Palestinian, and the issues relating to the ‘artificial’ state of Israel…For the most part politicians have forgotten what their purpose is, in much the same way as authority figures in certain organised religions have (the Imbrahimic faiths?) – their purpose is to serve those who have placed them in a position of trust and power (that being, usually, the majority), rather than feathering their own nest, as is so often the case, or pursuing their own personal agendas.In general, the current so-called democratic system doesn’t work as it was (presumably) originally intended: the populace seem to be conditioned to vote for people rather than parties or policies (making it more of a popularity contest than anything else here in the UK), and then the individuals voted into office lose their individuality and bow down to their political leader, who then bows down to whoever has a bigger stick than he does (that’ll be Tony Blair and George W. Bush Jnr. then).Frighteningly, I find myself leaning towards the notion that Hitler and Stalin may have been on the right track with some of their policies – those being the positives Hitler brought to the German economy and infrastructure through a singular vision, and the basic concept of Stalin’s Five Year Plan (though not what it actually stood for) – although general populace apathy will always play a part in any government’s ability to play fast and loose with the rules. Modern communication and the democratic idea of free speech has brought a voice that the displaced from other eras did not have. Hi Susan. I will check out your new post; I am sure it’s another good one. And of course, you are bang on about the politicians’ typical mindset. that sure makes a lot of sense unfortunately a huge number of people simply discredit the movement criticising Medha an d arundhati now the current issue is not their views but govt backing down on its promise of rehabilitating the displced and rendering them dispensable which is both unfair and unfortunate. Welcome to my blog, Tanvi. Indeed, the issue here is not celebrity activists, but about how the government is turning a blind eye to people’s call for justice. Attempting to answer your question at the end of the post:So my question remains: why is it that politicians fail to see what writers, filmmakers, artists, and musicians do?My to penny on this is that art is a highly individualistic activity and much of it is in the realm of ideas and imagination while politics is a collective act.To be fair to politicians, and specially in a democracy, the task is to convince a multitude of people with different interests and convictions towards a shared goal. Try convincing even three people and one would understand the difficulties.Of course, this is not to defend the short sightedness that so often is the hallmark of a politicians. As one whose parents too were victims of partition, I understand and share the pain of partition.And perhaps for that reason, very much liked your post on this theme. If its fine, would like to add a link to your site.Keep up the good work ! Thank you so much, BS, for dropping by and reading the post. I agree there is some truth to your argument, but for the most part, you are playing the devil’s advocate there, aren’t you? :PI am sure you would agree that politicians in India today distinctly lack the sincerity to serve their people. That, more than anything else, has been independent India’s bane. Thanks for offering to link me on your wondreful blog. I will be honoured. I am adding yours to my link list too.